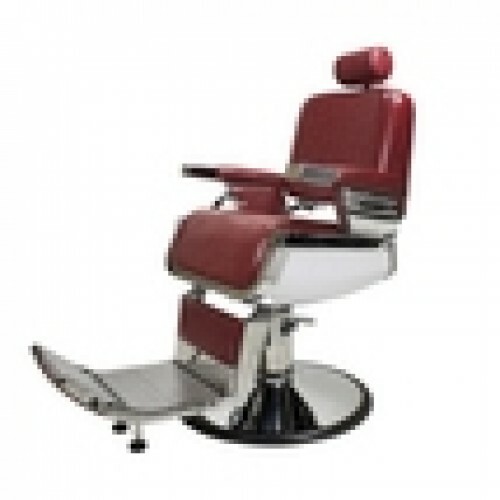 The Lincoln Barber Chair In the Crimson color is a very stylish and trendy barber chair. 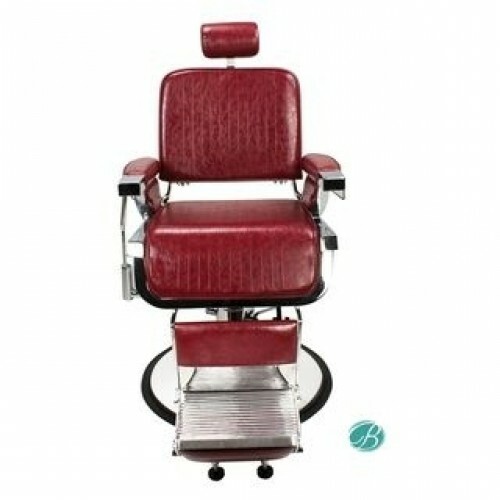 Popular for its chrome embellished accents and sleek black look it provides wonderful comfort and durability. 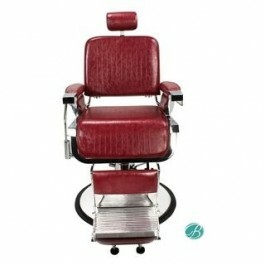 More benefits include a reversible leg and footrest, heavy-duty hydraulic pump and reclines up to 45 degrees. Heavy duty pump & plate supports up to 500 lbs.